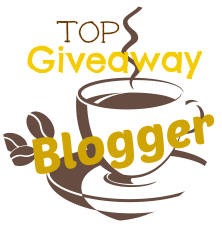 This Giveaway is being hosted by Tammie's Reviews, Giveaways and More, Couponing Momma Giveaways and Reviews , Just Sissy and being promoted by some awesome Bloggers. The Gift Card is being sponsored by Olive Garden. My favorite place to eat is Red Lobster. Their shrimp scampi is so flavorful and creamy and the shrimp are huge. One of my favorite meals at OG is their Tour of Italy, although I also love their chicken alfredo. I love whataburger. The #1 with cheese with a strawberry soda rocks! One of my favorites is Longhorn Steakhouse. I love eating at Olive Garden; I often order their ravioli, along with salad, because that's my favorite meal! We like to eat at Olive Garden or TGIF, depending what we are in the mood for. When we eat at Olive Garden I like to get the Chicken Marsala. My favorite place is a local place called Everready Diner. Their pancakes are TO DIE for! My favorite place to eat is a local restaurant called Nick's Roast Beef. It's the best Roast Beef I've ever had...as are their gravy fries. Oh man. I love to go to Lalo's Mexican food. It is sooooo good! Kate J-My favorite meal is pizza. Always pizza. Well it was called the Elephant Pub and we would get a French dip sandwich - it was the best around but they are not there anymore. We can't find a good one anywhere! I like the Eggplant Parmesan and Baked Ziti at the Olive Garden. Olive Garden is my favorite. I like their salad dressing better than any I've ever tasted in my life! Olive Garden is my favorite. I love their eggplant parm and their salads and soups. My favorite restaurants are the new ones we find in Europe on Vacation. Always something new to try. Olive Garden is my fave. I LOVE their salad, and am just simple. I usually get angel hair pasta with meatballs and meat sauce. Yummy! Now I'm hungry! I love going to bd's Mongolian Grill and making up my own dish, usually involving delicious buffalo sauce. I love Longhorn Steakhouse's Salads, so yummy and fresh! My favorite is Red Lobster or any restrauant that serves lobster. Olive Garden has the best meat sauce ravioli. I want to go to Red Lobster for Lobster Fest! It's my favorite place to go and sooo delicious! The Olive Garden and Spaghetti is my all time favorite! I love their chicken fettuccine! I like Lazy Dog restaurant. My favorite place to eat is the Bowmanstown Diner. They have delicious hot roast beef sandwiches. My favorite place to eat is Cracker Barrel and I love their chicken & dumplins! The Cheescake Factory, they have so many options. I have several favorites. Its hard to choose just one. I love Baja Grill. They have the best margaritas. My favorite place to eat is a local family run Mexican restaurant. I also really love white sauce with pasta, such as vegetarian lasagna. Olive Garden is one of my most favorite places to eat. Every time I go there I try something different and I have yet to be disappointed! I like Lazy Dog Cafe. My favorite place to eat is lonestar steakhouse because they have something that everyone in my family loves for great prices! My favorite meal is the seafood portifino but I love the calimari at olive garden all is good. My paternal grandmother came from Sicily, so I joke that sauce is in my blood. But I could never get tired of pasta. I like to eat at a family-owned pizza restaurant in my hometown. We usually order pizza and salads, sometimes also soup. Love it! My favorite meal at Olive Garden is the Grilled Chicken Spiedini. YUM! I would say that steak is my favorite meal but I also love fish. My first favorite place is one of many. Bonefish Grille serves a tempting array of dishes, I best like salmon with rice and vegetables. I love Olive Garden, but my hubby doesn't... so that is where I choose to go every year for my birthday. I love the garden burger at Red Robin! I love Friday's Turkey burgers! Veal Parmesan is my very favourite "guilty" pleasure. My favorite place to eat is Olive Garden! The more I see all the scrumptious offerings at Olive Garden, the more inclined I am to declare Olive Garden as my favorite restaurant. I like best spaghetti and meatballs as my favorite meal. I love the sausage risotto at a local Italian restaurant called Mariano's Cucina. My favorite restaurant is olive garden! We love pasta at our house! We don't eat out very often. I guess I like O'Charley's best. I like their Spinach and Artichoke Dip. One of my favorite places to eat is the Olive Garden. They have great food and decent prices. I love to eat at Olive Garden. I was just telling my daughter last evening that I was hungry for one of their salads! My favorite restaurant is Lazy Dog/. My favorite pizza place is a local one called Andy's. They don't make anything else, just delicious pizza. I love the broiled flounder with rice pilaf and red potatoes at Red Lobster. One of my favorite places to eat is Texas Roadhouse. We love Olive Garden! Now I'm hungry for their breadsticks!! One of my favorite meals is a juicy beef roast with potatoes and carrots. It's the Olive Garden for me. I love a "good" chinese buffet. Golden China is my local fave. One of my favorite things to get at a restaurant is onion rings. There are so many variations. My favorite place to eat is Red Lobster. The Olive Garden comes in second. We have a local place that does some really awesome Tex/Mex food. Olive Garden is always our first choice! We love Olive Garden! Nice enough for a "date night" while still being able to accommodate 2 toddlers! Oooh too many favs lol..but I love me some Olive Garden, Black Angus, Outback, & Cheesecake Factory. Haha! My favorite type of food is Italian and I LOVE Olive Garden. My favorite is Olive Garden, and I love their salads. So delicious! We enjoy the Olive Garden. Especially the unlimited soup and salad. I like to eat at the Olive Garden. I like to eat the Coconut Shrimp at Red Lobster, yummy! I like the Olive Garden. The soup and salad is delicious. I love Italian food, so Olive Garden would be a great place to try out. I think I've had one or two of their dishes before, but I've never eaten at the restaurant. My favorite place to eat is Olive Garden. I love their Stuffed Mushrooms and Seafood Alfredo. Olive Garden is a favorite place of mine to eat. Don't go very often, but always enjoy it when I do. My husband and I love to eat at Olive Garden, we love the pasta and the soup there! We really like to eat pizza, and we like to try new restaurants! I like to eat at any Italian restaurant. I love the Tour of Italy at the Olive Garden. My favorite meal is linguine and clam sauce, salad and garlic bread. I know I would enjoy this meal most at Olive Garden, my favorite place to eat. I love blackened steak and shrimp. My favorite place to eat is Taco Bell. My favorite place is Red Lobster. I love their Cheddar Bay Biscuits! I am fine with just a plate full of tomatoes onions and cucumbers. My favorite place to eat is Red Lobster, and I like to eat the grilled salmon. I love eating at Olive Gardens and one of my fave dishes is their Shrimp fettuccine! I also enjoy eating at LongHorn Steak House. One of my all-time favorite meals is risotto with sausage. I love eating at Noodles and company and ordering the mac and cheese. I like Red Robin quite a bit. The veggie burger is great! The Olive Garden has always been a favorite place to dine! I like to eat at Wendy's. I love Olive Garden. I usually get the Chicken Alfredo Pizza and Zuppa Toscana soup. I like also Outback Steak House and my favorite meal is rare steak, baked potato with sour cream and a garden salad. My favorite place to eat is Red Lobster. There's this place near us, The Cellar, that serves the most amazing Lamb Chops, Salmon in a Phyllo Crust and a Lamb-burger with Stilton Cheese! Yum! I sometimes enjoy eating at a local restaurant to us called Farmer boys. They always give you tons of food for a very reasonable price. Oh me, that's a hard one. I love to eat out just about everywhere because I don't have to clean up! Another restaurant I like is Bonefish Grill. It's a tad expensive so I don't go ofter. One of my favorite restaurants ever is a little tiny french place Le Central in Denver. I don't get to eat there often though because it is 1000+ miles away. But my husband and I try to make it when we are there to visit family. I love the pasta fagioli soup, salad, & breadsticks at olive garden. I enjoy eating at Olive Garden. My favorite item is the chicken fettuccine alfredo. We have lots of favorites. One is a local spot called Cross Rhodes: they have the best Gyros and Greek Salads. Oh and these wonderful lemony/garlicky Greek Fries! My favorite meals are anything Pasta and Breads... which explains my bottom, haha. I love a great Shrimp Scampi or Alfredo with bread sticks or warm fresh rolls. I also like to eat at Red Robin. I love their bottemless fries. Olive Garden is my favorite place to eat. I love their salad & breadsticks and the chicken alfredo. Yum!! One of my favorite places to eat is Red Lobster. I like Red Lobster. I love the shrimp scampi and cheddar bay biscuits. We also love Italian - and there just happens to be an Olive Garden (and a Red Lobster too ) about 5 miles away. When I get the craving - I love to enjoy their Crispy Risotto Bites and the Pappardelle Pescatore!! I love the homemade pizza I make, thanks to Jim Lahey's No Knead pizza crust recipe. It's fantstic! One of my favorite meals is a Hawaiian style pizza. It's nice to order out sometimes when you don't feel like leaving the house.